WeCo President, Lynn Wehrman (center) poses with representatives from China as a part of the US Department of State’s “Access for All” Tour in July 2015. At WeCo, we offer our services, knowledge and expertise to all organizations, groups and entities, without discrimination or prejudice. 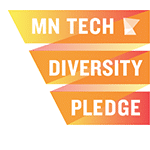 Our work supports our mission and goals, and enables us to help make the world more accessible for everyone. At WeCo, how we do business is just as important as the quality of services we deliver. All WeCo clients are afforded the same ethical and professional rights and courtesies outlined in our Ethics in Business Policy, developed and adopted by the WeCo Advisory Board on January 13, 2012. 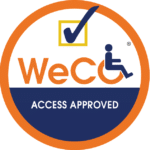 WeCo believes that accessibility belongs to everyone. That is why we work tirelessly towards this aim, with partners in the US and around the world. Below is a list of some of the entities, organizations and businesses with whom we work or have worked with in the past. The versatility of WeCo’s auditing, testing and training products makes them applicable to websites, software and mobile applications for organizations across a wide cross section of markets. US Department of State, Washington, D.C.